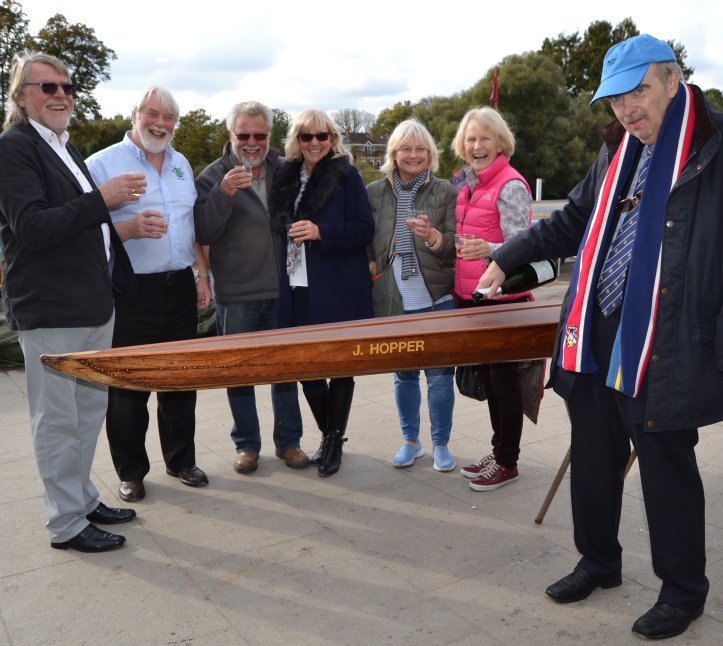 The final chapter was written in the restoration of ‘J Hopper’ with the unveiling of the finished article on March 27th 2017 at the River and Rowing Museum in Henley. 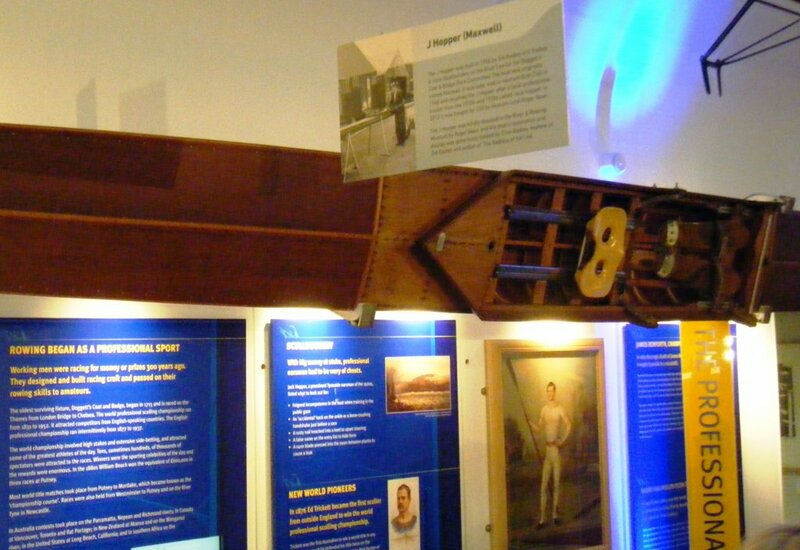 J Hopper (formerly named Maxwell) is a single clinker scull named after an eminent Hexham-based professional sculler of the 1920s and 1930s called Jack Hopper. It was rescued from the scrapheap and purchased for £50 in 2012 by former Durham ARC off-peak member, and still regular visitor, Roger Bean, who then set about restoring it to its former glory. Much of the ground work took place in the loft of Clive Hole’s boathouse, with Clive’s assistance, recompense for storage coming in the form of whisky. Roger sought the assistance of former boatbuilder and historian Clive Radley who helped to trace the boat’s fascinating history. 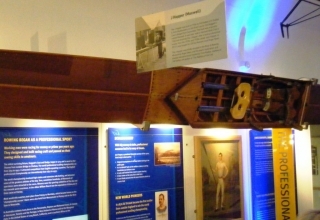 Moving away from Durham the project continued, Clive Radley acting as benefactor and putting Roger in touch with Bill Colley who set about completing the restoration to a standard suitable for the River & Rowing Museum. A re-christening ceremony took place at Richmond on October 21st 2016. The story is covered in detail in the following 2 blog entries posted to ‘Hear the Boat Sing’ in September 2015 and October 2016. This entry was posted in Club News on March 29, 2017 by Colin Lawson.